Wall Street stocks retreated early on Tuesday as the IMF cut its global growth forecast and President Donald Trump threatened new tariffs on EU goods. 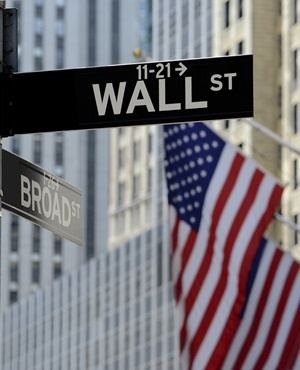 About 10 minutes into trading, the Dow Jones Industrial Average was at 26 133.82, down 0.8%. The broad-based S&P 500 shed 0.6% to 2 879.03, while the tech-rich Nasdaq Composite Index lost 0.3% at 7 927.21. The International Monetary Fund trimmed its 2019 global growth forecast to 3.3% from 3.5%, citing downside risks associated with Brexit, yawning trade talks and other factors. On the trade front, Trump vowed to impose tariffs on $11bn of European goods following in retaliation for subsidies received by aircraft maker Airbus. Briefing.com analyst Patrick O'Hare said the market had already been due for a pullback after a largely unbroken run higher thus far in 2019. Upcoming trading catalysts include a key Brexit summit on Wednesday and the kickoff of first-quarter earnings season with Friday's release of results from JPMorgan Chase and Wells Fargo. Among individual companies, American Airlines shed 2.2% after it cut a key revenue benchmark in a first-quarter forecast, citing the hit from the Boeing 737 MAX grounding, among other factors. American Airlines canceled some 1 200 flights in the first quarter due to the MAX grounding and has canceled additional flights through June 5 in anticipation that the plane will remain grounded by the Federal Aviation Administration.